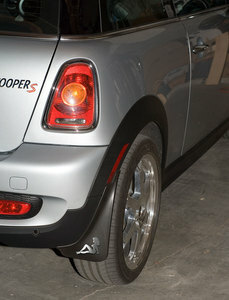 We’ve seen these chrome girls hundreds of times on 18-wheeler trucks… but on a MINI? OMG! Here’s one such MINI one in the fair state of Tennessee. So as long as a politically incorrect haiku is ok with somebody, we’ll present our Haiku Tribute to Rednecks.